The region of Lazio has a lot to offer—one reason why we recently wrote this post on 7 of Lazio’s hidden gems, including ancient ruins, medieval towns, thermal baths, even the Pope’s summer hideaway! But Lazio boasts even more attractions than those. Looking for a unique day trip from Rome? 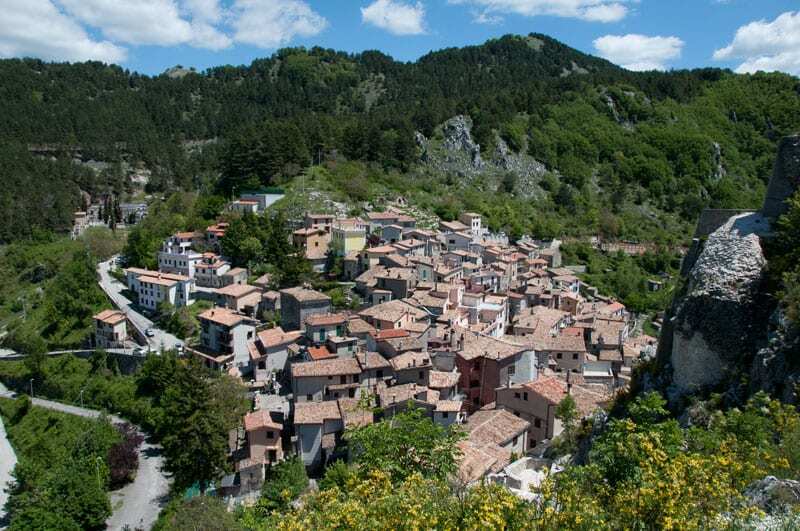 Here are 7 more gems not to miss in the Lazio region! This is a small town with some big claims to fame: St. Benedict established his very first monastery here (in about 529), it’s the first city in Italy that printed books, and it was the birthplace of two historic beauties—Lucrezia Borgia, the daughter of Pope Alexander VI Borgia, and Italian bombshell Gina Lollobrigida! Today, the charming town is worth visiting for the stunning Benedictine monastery, castle, and quiet medieval character. 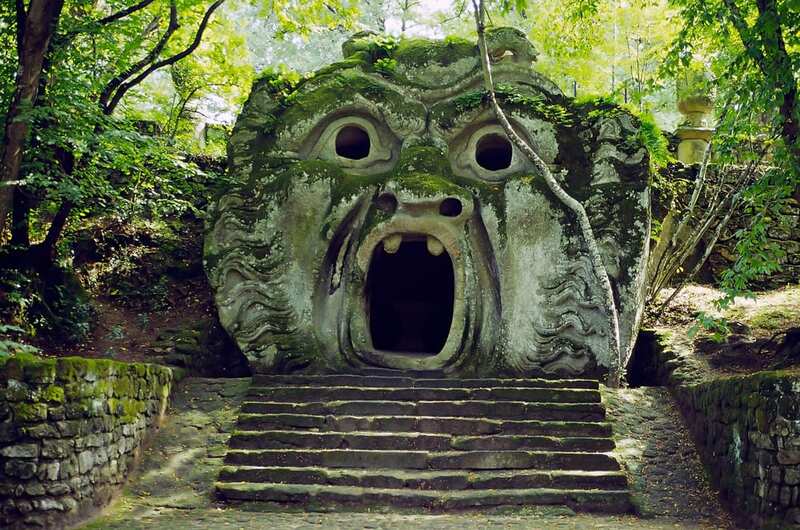 The Bosco dei Mostri (or “Park of the Monsters”), located an hour’s drive from Rome, is guaranteed to astonish. Laid out in the 16th century’s Mannerist style, it features enormous sculptures of everything from one of Hannibal’s war elephants to a statue of Ceres. You’ll feel like you’ve entered a dreamworld! Don’t miss our recent Walks Traveler video in the Park of the Monsters, with Walks co-founder Jason Spiehler, below! Whitewashed Sperlonga is one of the loveliest coastal towns in Lazio, and its beach is one of the only blue-flagged beaches in the region. 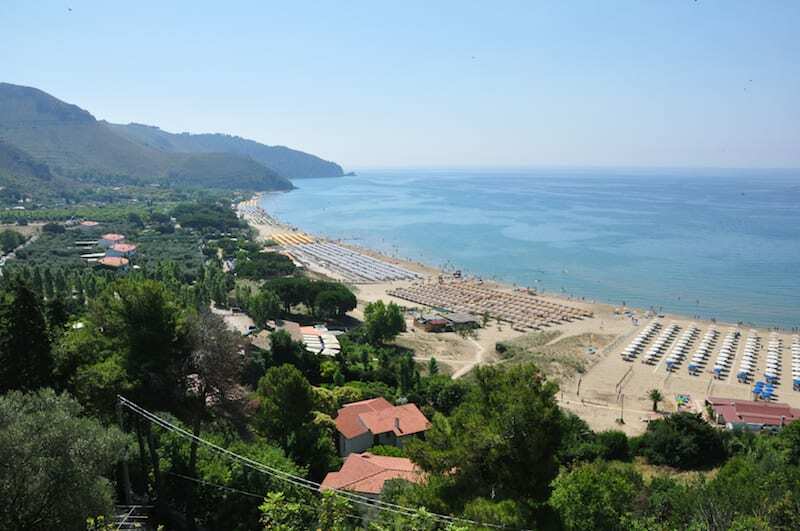 (Here’s more on the best beaches near Rome, including Sperlonga). But it also happens to be home to the 1st-century villa of Emperor Tiberius. Still today, you can visit the evocative grotto and see the stunning sculptures that survived, which are likely by the same sculptors who created the Vatican’s famous Laocoön. A little over an hour from Rome, Caprarola is best-known for its Villa Farnese. 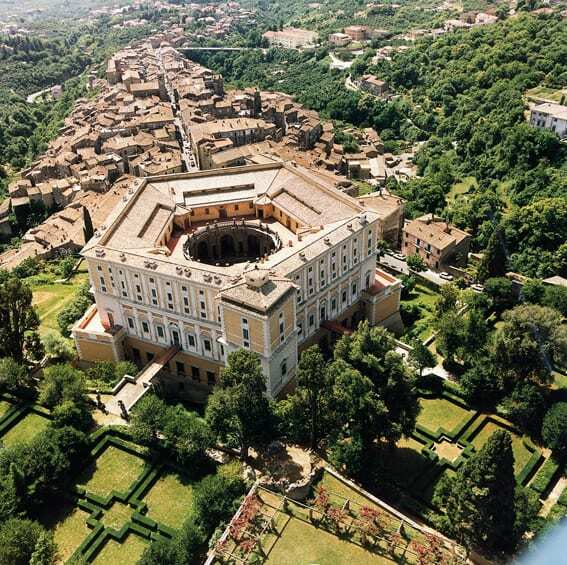 The massive, pentagon-shaped mansion—built for Pope Paul III Farnese when he was still a cardinal—has stunning interior frescoes, opulent rooms, and beautiful formal gardens. It’s considered one of the finest examples of Renaissance architecture in Italy. The seaside town of Gaeta includes a 6th-century castle, mausoleum from the 1st century B.C., and important medieval churches. But the Grotta del Turco, or “Turk’s Grotto,” is one of the town’s most stunning attractions. The natural grotto, which is illuminated with colorful light at different times of day, is accessible from the sanctuary of S.S. Trinita. Commissioned by Cardinal Ippolito II d’Este, the grandson of Pope Alexander VI, in the 16th century, the Villa d’Este remains one of Italy’s most splendid villas. Wandering through its rooms, formal gardens, and gorgeous fountains is an easy way to spend an afternoon, or whole day! Particularly if you’re not going to make it to Pompeii, Ostia Antica—just a half hour outside Rome on the train—is an excellent alternative. Rome’s ancient port city, Ostia Antica remains an intact town even today, complete with forum, bars, restaurants, even brothel! I quite like also the ghost village of Galeria, Tuscania, and the garden of Ninfa. 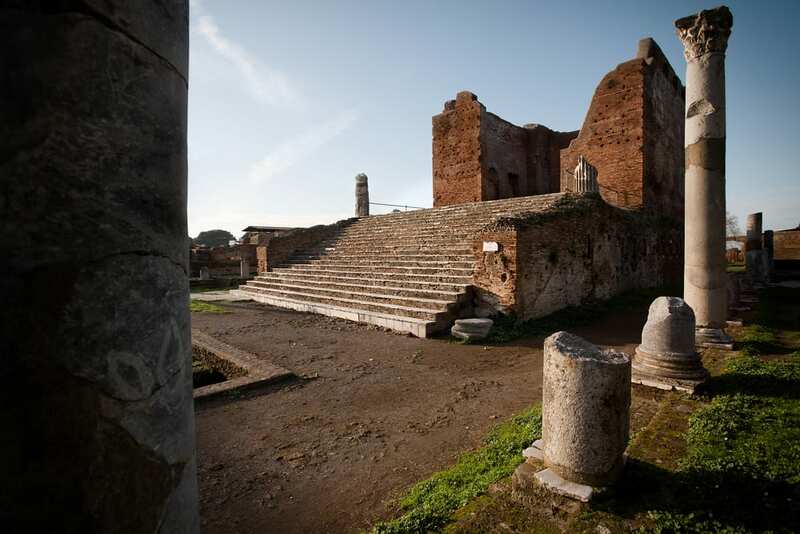 Villa Adriana (Hadrian’s Villa) is also a great place to visit, and is on the way to Villa d’Este! Both are amazing! Absolutely, Sheri! That’s why we included it in part one: http://www.walksofitaly.com/blog/rome/lazio-region-italy-rome-day-trips Tivoli is just full of gems! Sperlonga and Gaeta are very beautiful places with some stunning costal views! I go there all the time and definitely recommend these places to anyone looking for a beautiful beach. However, you need to go early as these areas get very busy!